Elevation Gain: 581 feet. Starts at about 750 feet and climbs to about 1250 feet. Best Season: Avoid after heavy rains (likely muddy) or very hot days. 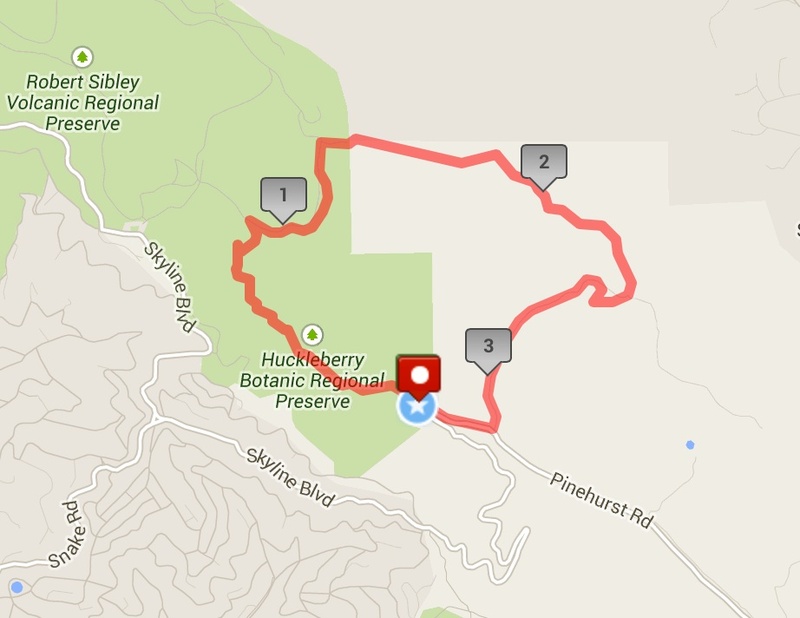 Highlights: Check out a brand new staging area and hike that none of your friends know about! Reach many nice viewpoints with vistas of mostly undeveloped land, including the summit of the hike, about mid way through. Directions: Take Canyon Road south from Moraga. When you reach Pinehurst Road, take a right. Drive about one mile past the Canyon Elementary School and look for the new Wilcox Staging Area on your right. There are roughly 10 parking spots. 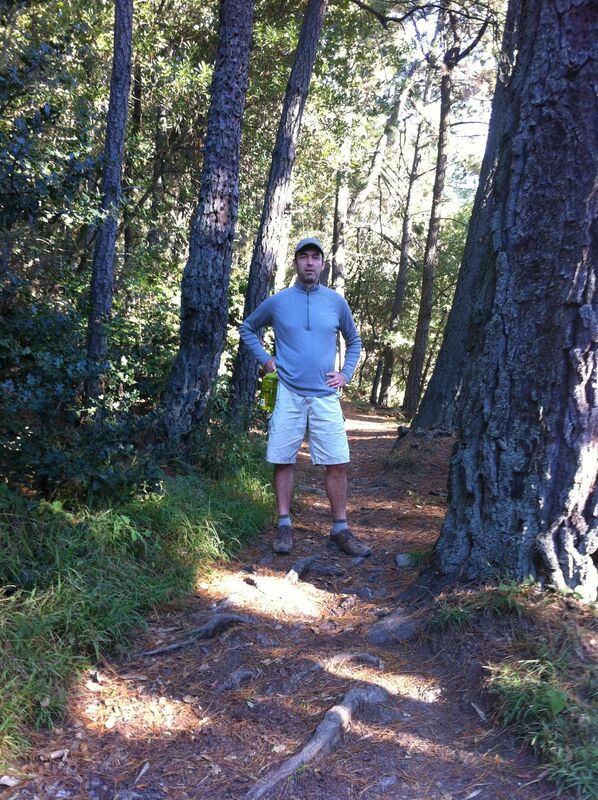 Trailhead: Just walk up the gravel road to reach the trailhead. 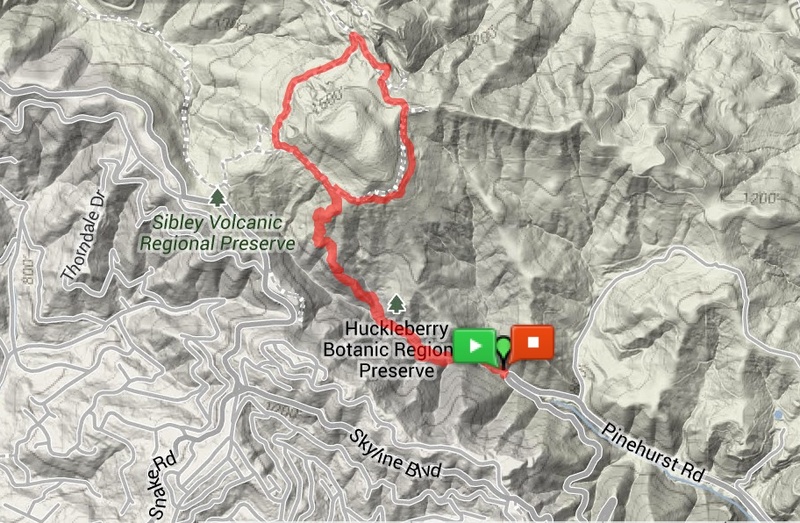 The Wilcox Station Staging Area and McCosker Loop Trail are brand new additions to the Sibley Volcanic Preserve. If you look at the Sibley map, you’ll now see them on the far right side. A little quick history.. The 250+ acres that have been appended to Sibley were settled by the McCosker family in the 1870s, initially as a ranch, and later as a paving and quarry operation from the 1950s-70s. 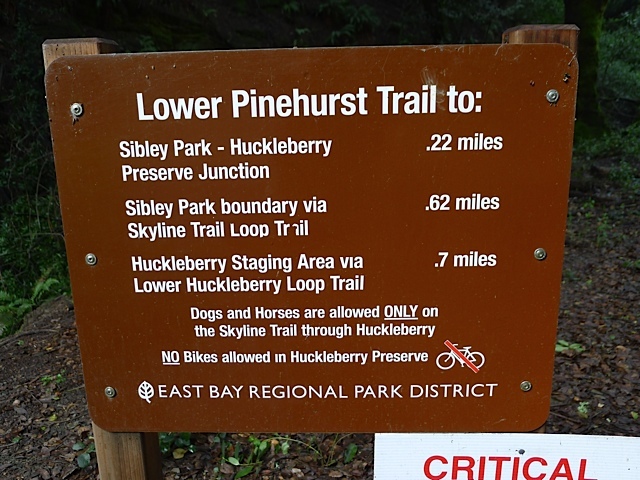 The land was part of 1300 acres that were purchased by the Wilder Development (245 home sites) and then donated to East Bay Regional Parks and EBMUD in 2011. 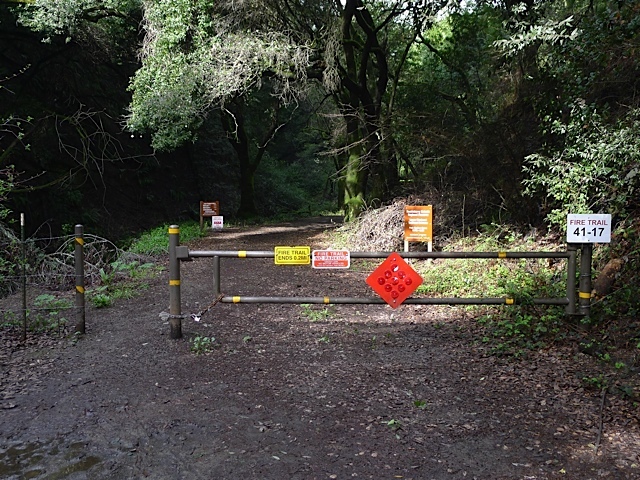 A huge thanks is due to a group of Orinda citizens called Save Open Space and assistance from the Golden Gate Audubon Society. 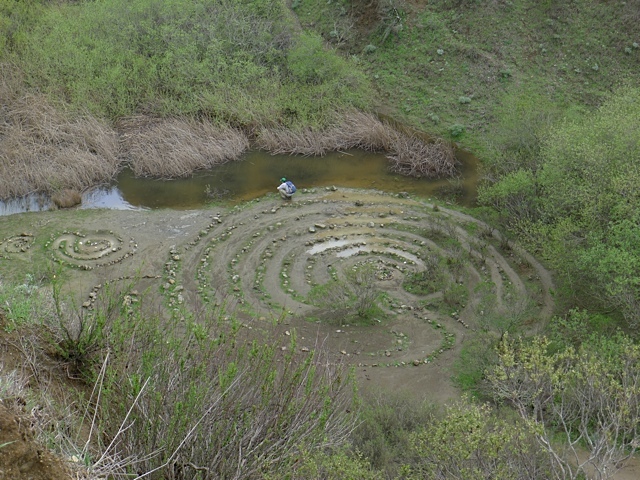 The story is covered in a recent Lamorinda Weekly article and Audubon Society blog post. The Wilcox Station Staging Area, where you can park, is near the former Wilcox Station, part of the Sacramento Northern Railroad, an electric train that ran for 183 miles from Oakland all the way to Chico. Trains traveled through the one mile long “Redwood Peak Tunnel” from Shepherd Canyon on the Oakland side, before emerging in the canyon near the hairpin turn on Pinehurst Road. A 1917 map shows the very first stop as Eastport Station (eastern portal) and the second stop as Wilcox Station. The tiny town of Eastport still shows up in Wikipedia and on Google Maps! To begin the hike, just head up the gravel road. After a couple tenths of a mile you’ll reach a gate, where you take a sharp right. You’ll then pass a large metal barn that now houses EBRPD equipment. 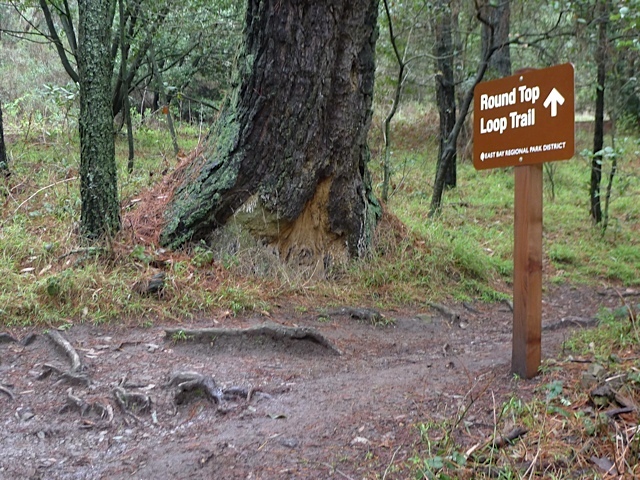 Just up the hill you’ll reach the beginning of the two-mile loop trail. You can hike in either direction, but our group went right. Just follow the trail signs! 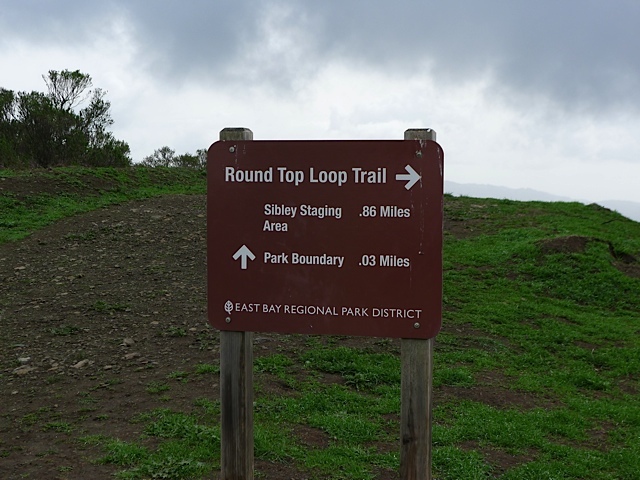 During the beginning and end of the loop you’ll pass through oak/bay laurel woodlands and then as you reach higher elevations it will be mostly open grassy hills used for cow grazing. 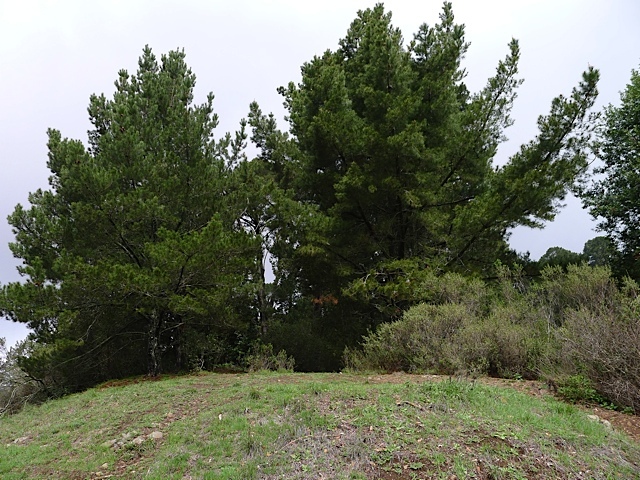 As far as trees go, you’ll mostly see Coast live oak and California bay laurel, but may also spot Pacific madrone, Coast redwood, Giant sequoia (planted), California buckeye, and some alders by the parking lot. 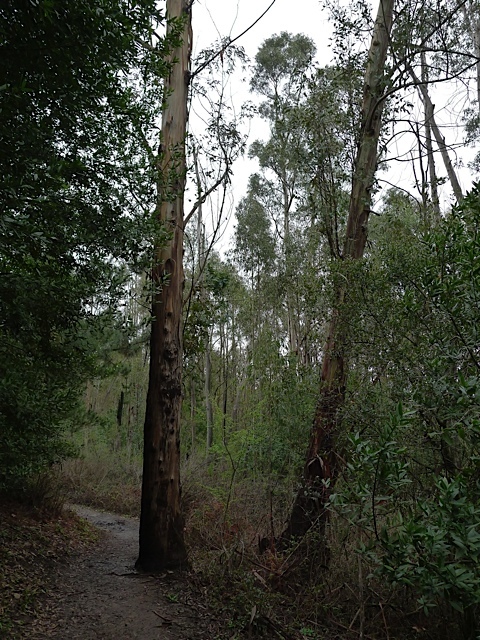 After just a short while you’ll reach a picnic table (picture below) and then a little further you’ll pass a random patch of redwood trees on the right. After a surprisingly steep climb and about 30-40 minutes of hiking you’ll reach a summit of about 1250 feet. 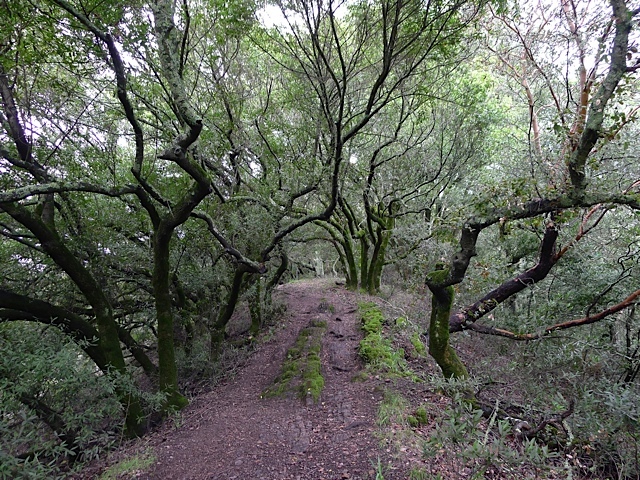 The old ranch dirt road splits into two at the top. Stay to the right, and then you’ll begin to descend. The views at the top are fantastic! To the north you’ll be able to see Sibley’s Round Top in the distance. 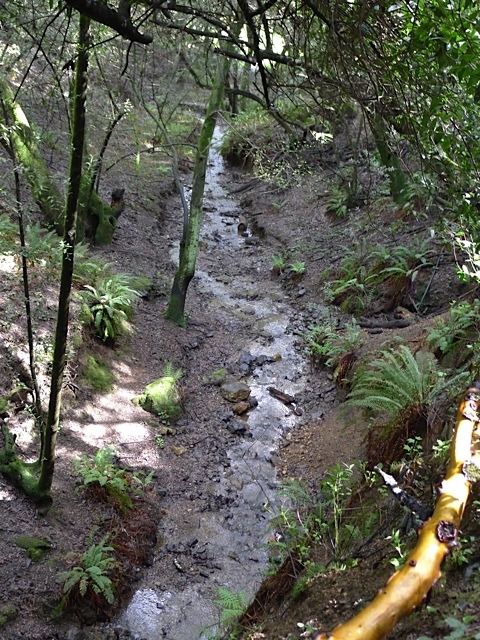 In the future, the new McCosker portion of the park will be fully connected to the rest of Sibley Volcanic Preserve, The Wilder Development, and Orinda. On our hike we stumbled upon a couple of wild herbs that are fun to smell: pennyroyal and wild fennel. Pennyroyal is a non-native perennial, which is a member of the mint family and quite common on the hike. Soon the trail will reach the junction where the loop started, and then you return past the large metal barn the same way you came. Note: You may encounter cows on this trail. No worries. Just walk in a wide arc around them and make sure not to get between a mother and a new calf. 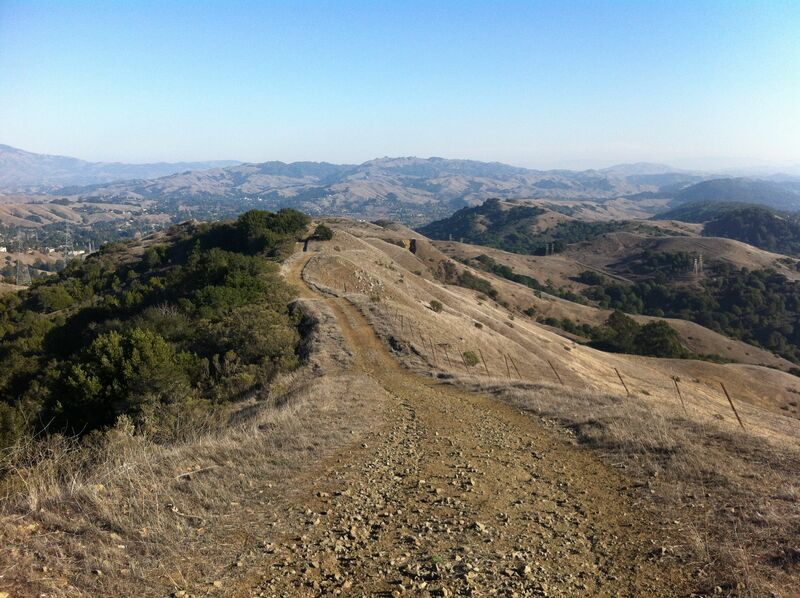 EBMUD and the East Bay Regional Park District both lease some grassland areas for cattle grazing. This is to keep the grass height down, which lessens the fire hazard during the dry season.